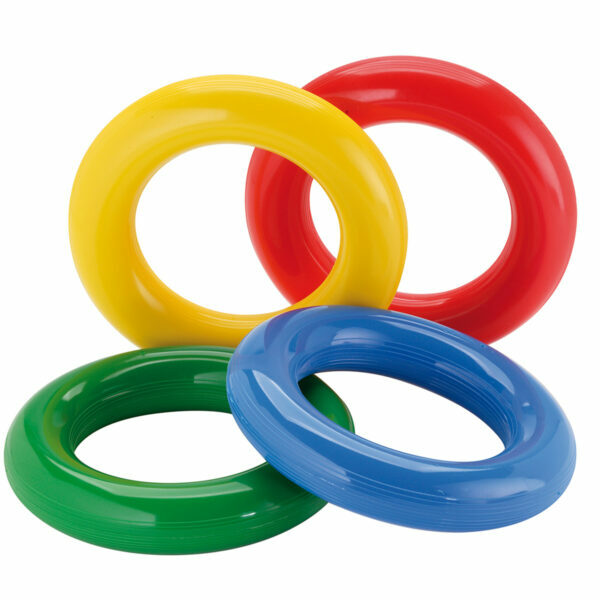 Aku Ring | Gymnic - Ledraplastic S.p.A. The Aku Ring is a tactile, spiky and flexible ring, available in four assorted colours. Its soft spikes transmit a pleasant sensory impulse. The peculiarity of this tool makes it suitable for various activities and educational games. It is also perfect for underwater activities in the swimming pool as it sinks in water! In the wellness field Aku Ring is a valuable tool for hand and foot massage.